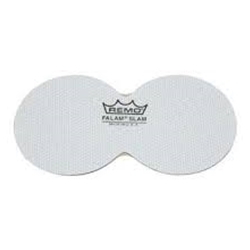 The Falam® Slams are maximum durability beater impact patches for all Bass drumheads. Constructed with high-strength Kevlar®, Falam® Slams increase the longevity of your Bass drumhead as well as the beater attack in the sound of the drum. The adhesive-backed patches are placed in the location where the beater contacts the drumhead.